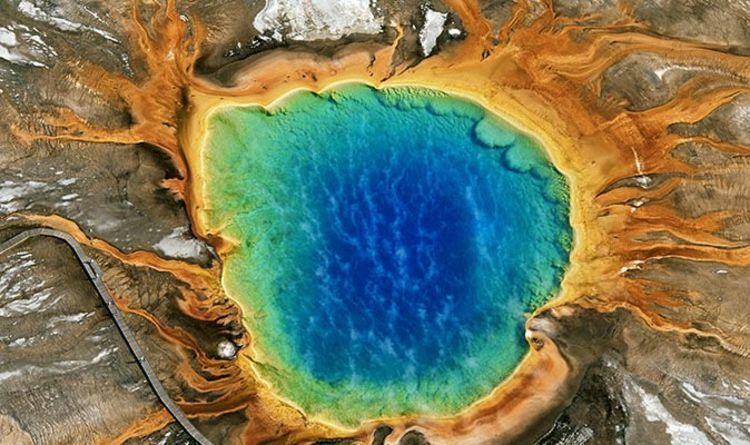 Yellowstone is a supervolcano located in Yellowstone National Park in the north-west of the US which poses world-changing effects should it blow. It has erupted three times in history – 2.1 million years ago, 1.2 million years ago and 640,000 years ago. Experts are constantly monitoring the caldera and its surrounding area in case of a fourth eruption, but they may have missed another huge build-up of magma across the country. Geologist Vadim Levin, of Rutgers University in New Jersey, revealed how a large-scale study in 2016 detected a huge mass of molten rock beneath the nations' northeastern states. He said in 2018: “Our study challenged the established notion of how the continents on which we live behave. “It challenged the textbook concepts taught in introductory geology classes. “The upwelling we detected is like a hot-air balloon, and we infer that something is rising up through the deeper part of our planet under New England. The study helped identify a molten blob below Vermont, with parts of western New Hampshire and Massachusetts also affected. However, it is unknown whether this magma bubble will ever make its way to the surface, Dr Levin admitted. He detailed: “It will likely take millions of years for the upwelling to get where it’s going. “The next step is to try to understand how exactly it’s happening. “Maybe it hasn’t had time yet, or maybe it is too small and will never make it.